Welcome back to returning readers and a special welcome to those of you who are visiting Process for the first time. While we look forward to every issue of Process, we are especially excited about our current special issue, On Borders. As debates about travel bans, border walls, and immigration have intensified around the world, we have been eager to create space for undergraduates to explore the complexities and consequences of the way borders are defined, enforced, and experienced. We were thrilled to receive double the typical volume of submissions for this issue, which reflects how imperative this topic is. The four pieces we have selected powerfully initiate this conversation as they consider the nature and impact of borders as they are conceptualized and lived--geographically, physically and emotionally. Indigo Melo’s “San Francisco Bay Area Housing: A Crisis of Internal Borders” reveals the numerous kinds of borders that exist--and are often reinforced through federal and/or municipal lines--in California’s Bay Area. He argues that the current political moment, one governed by a “reactionary public policy,” is inclined to focus more broadly on the security and impact of national borders, rather than the localized and internal borders that exist within individual cities. As such, these internal borders, to the detriment of many communities, are often forgotten or overlooked. This omission, he argues, directly contributes to the deepening of economic and social divides within Bay Area cities, particularly within the realm of accessible housing. We hope you enjoy the work of our talented contributors in our special issue, On Borders. We also hope you can use these pieces and the ideas they put forth to help frame conversations at your institutions, in your classrooms, and in your communities. Finally, don’t forget to check out the CFP for our next special issue, On Media. The Mexico-US border cannot be summarized; it is simultaneously a transnational scar that has produced unspeakable trauma and a place that moves and shakes with life and love. VEIN attempts to convey this nuance, to show the multidimensional nature of this black line on our maps. By arranging VEIN as a series of vignettes that draw on the author's personal experience and knowledge, Canales aims to frame the Mexico-US border (specifically the second bridge that crosses the Rio Grande from Laredo, Texas into Nuevo Laredo, Tamaulipas) as both a personal and political space while also maintaining their positionality within this narrative. Canales alternates between familial anecdotes and statistical facts to acknowledge that personal experience cannot and should not exist apart from sociopolitical context. The rising prominence of mixed identities around the world has contributed to a new wave of defining “who is who” and “what is what” when it comes to proclaiming ethnic ties. While cultural practice, language, and blood inheritance are cornerstone ways to denote ethnicity, the case of the Zainichi Koreans in Japan continues to be a unique example of bifurcated identities being buttressed away by ideas of ethno-nationalist homogeneity. They must balance a perception of themselves from Japanese society with little distinction between North and South Korean affiliation as well as systemic oppression through domestic apparatuses of registration systems and discrimination. Zainichi Koreans’ name denotes “temporary resident.” Yet they exist in the blurred border of being seen as alien in a new homeland that they have lived in for decades in many cases. 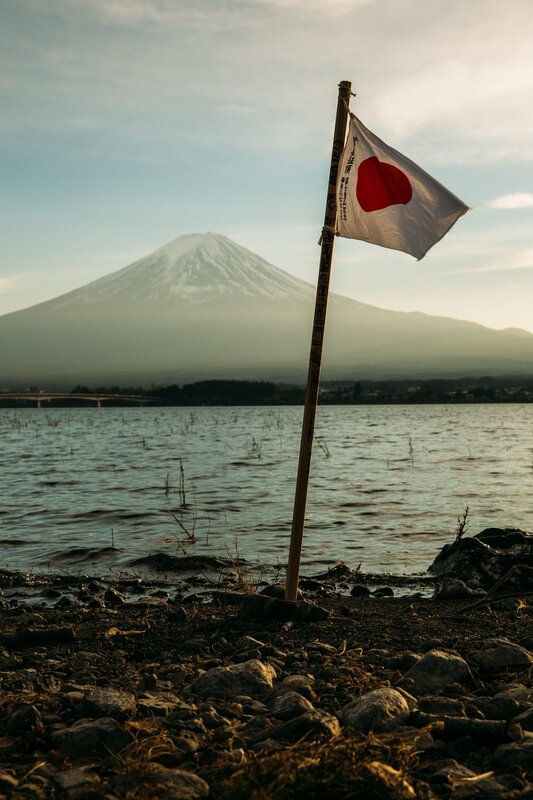 Although their heritage may be tied to the peninsula, their home is in Japan as many speak fluent Japanese and practice Japanese customs. This begs the question, as an ethnic “Other,” can the Zainichi achieve success in Japanese society? Or will their straddle between two worlds hinder admission into Japanese society? Below is an investigation into how Zainichi Koreans face tremendous obstacles living in contemporary Japan. At the forefront of the 2016 presidential race was the seemingly infinite cycle of rhetoric concerning the safety of our national borders and the importance of maintaining and reifying control along international lines. At the center of Donald Trump’s political platform was the creation of additional security and hardening of America’s southern border, providing supporters with a unifying call to “Build the Wall.” While this viewpoint certainly deserves a place at the table, the polarizing and at times sensationalized discussion surrounding this issue has drawn people’s attention away from the issues rising along the borders in their own neighborhoods. The ideology and practices that create crises and conflicts at intersections of physical and social borders along federal and municipal lines are parallel. All borders are ultimately created in response to one question: Who belongs? As a result, there is always a concurrently manifested “us” and them.” At both the national and local levels, these divisions are founded upon ideology that looks to appropriate space along borders that empower the elite and further disenfranchise vulnerable populations. This essay analyzes municipal internal borders within the San Francisco Bay Area, as well as the detrimental consequences of deepening social and economic divides created through reactionary public policy.